The 2018 Farmington Summer Fest will be held on Friday July 27 from 3pm to 9pm and Saturday, July 28, from 9am to 8pm. Free events include a Talent Show, The Great Float Race on the river, The Dreamin' Big Bed Race on Broadway, a Scavenger Hunt through town, a Children's Parade, bounce houses and kids' games and music in Meetinghouse Park. Farmington, the Shire Town of Franklin County, is nestled in the foothills of Maine’s High Peaks, only 45 minutes from Augusta and 90 minutes from Portland. We are the gateway to Maine's Lakes and Mountains region, and we invite you to stop along your way. Not sure where to start? Take the Walk Around Farmington trail. 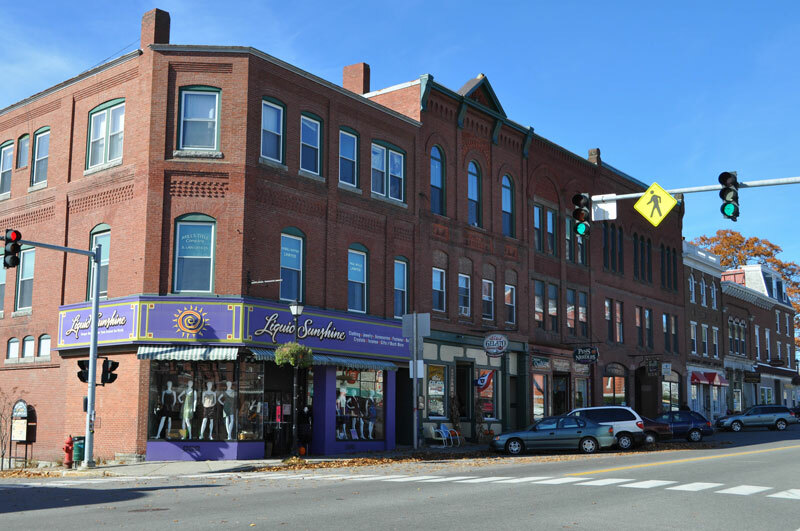 Soon you'll notice that Farmington is one of Maine’s best-preserved downtowns. Here among our beautiful historic buildings, you will find a wonderful array of independently-owned shops and eateries, farmers markets, and contemporary professional services. Locally-made goods highlight quality Maine workmanship and friendly faces appear in every doorway. Spend a day with us--park (for free!) in one of several convenient locations, lose yourself in our eclectic shops, enjoy a meal (without having to drive!) and finish with a movie or a cultural event at our University of Maine at Farmington campus.